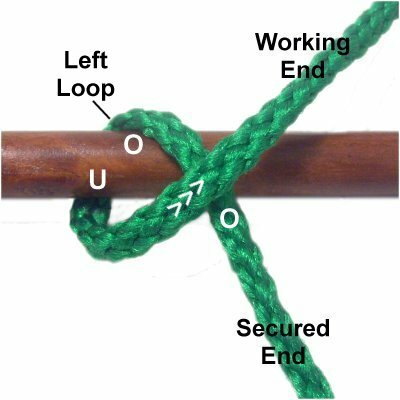 Description: The Clove Hitch is a common Macrame knot, which has several variations that can be used in Macrame projects. It provides a good strong hold, which is why it's so popular. 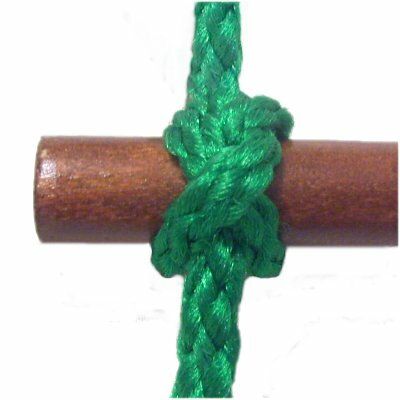 The Double Half Hitch is often considered the same knot, especially in vintage Macrame books. 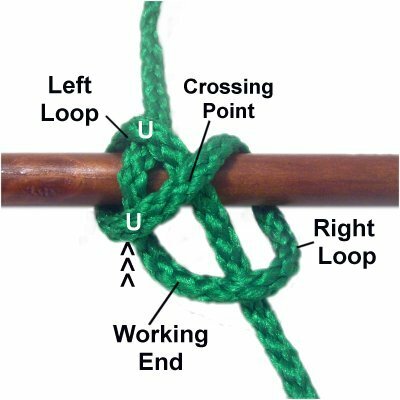 But the focus here is on the BACK of the knot, where the crossed elements are visible. Important: The instructions on this page show the cord secured below the dowel in all the designs except for the Boa Knot. 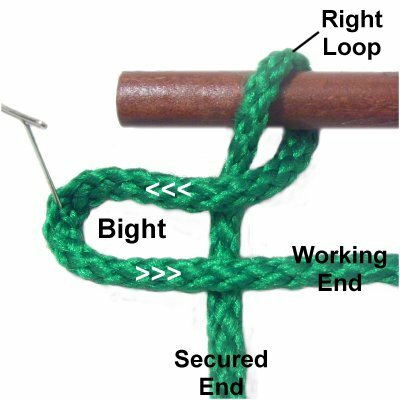 In many Macrame patterns, you make the knot starting with the cord above the dowel. 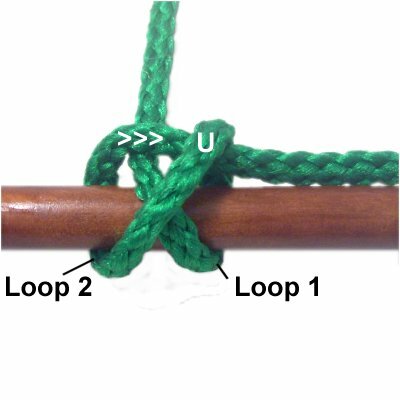 The over - under pattern may also be different, depending on the direction the knots are tied. The variations described on this page are sometimes called constriction knots, because they have a strong hold and snake-like coils or twists. 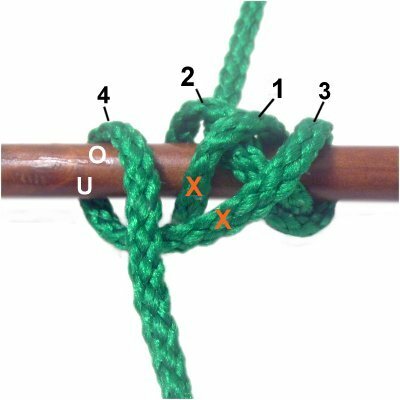 The Paracord Container is made with the Clove Hitch, so is a good project to help you practice this knotting technique. 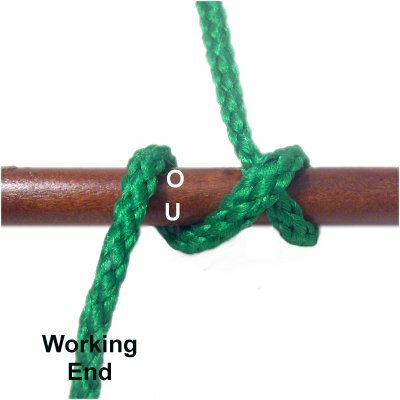 Spanish Hitching features the Clove Hitch. 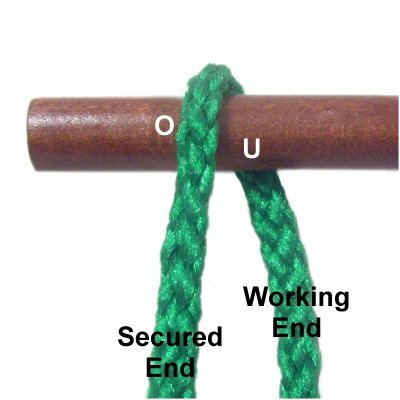 The knots are tied a little differently, but the basic concept is the same. 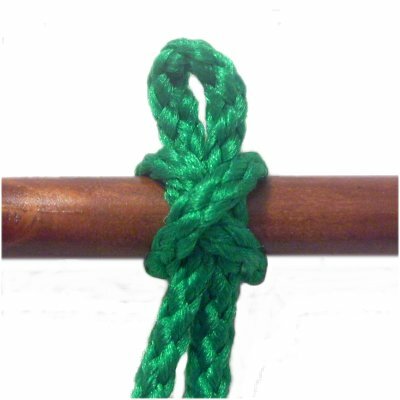 To practice a basic Clove Hitch, you need one cord, at least 18 inches long. You will also need a dowel (or other item) to hold the knot. 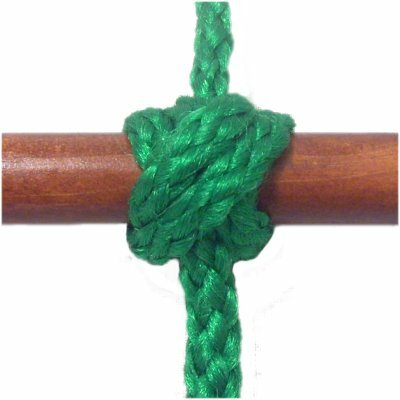 In a Macrame project, you can attach this knot to a round or square ring, a purse handle, or even a holding cord. Step 1: Secure one end of the cord to your work surface or project board, in front of the dowel. Move the working end over the dowel, then under it. Pull it slightly to the right of the secured end. Step 2: To complete the right loop, pull the working end backward and to the left, crossing over the secured portion. Designer's Tip: Remember that a loop always has a crossing point. Step 3: Start the left loop by moving the working end under the dowel, to the left of the right loop. Step 4: Complete the left loop by passing the working end under the cord in the area between the two loops, heading backward. 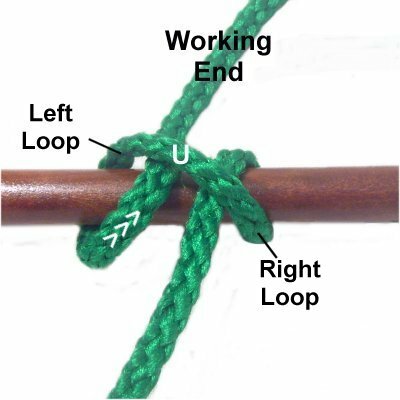 Pull both ends to tighten the Clove Hitch, sliding the two loops close to each other. 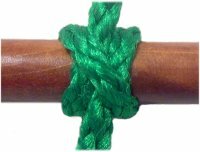 The Constrictor Knot is a variation of the basic Clove Hitch. The primary difference is that it's designed to be placed near the end of a dowel. 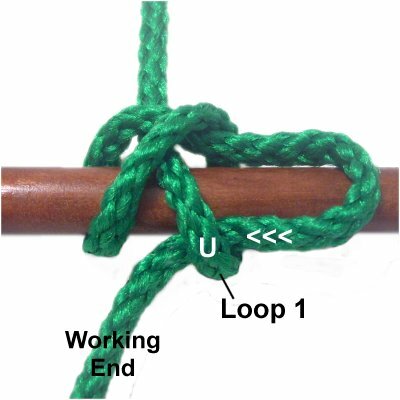 You can include this design when using the basic knot, since they look the same. To practice, you need one 18-inch cord, as well as a dowel to hold the knot. Step 1: Secure one end of the cord in front of the dowel. Bring the working end of the cord over the dowel, then under it. 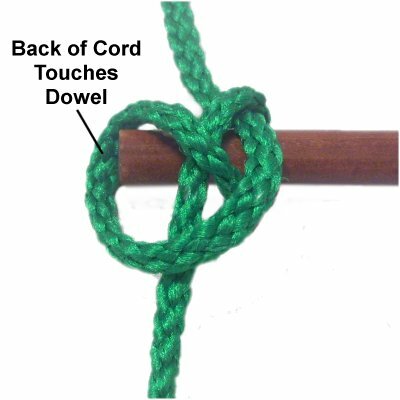 The cord should rest approximately 1-inch from the left end of the dowel. 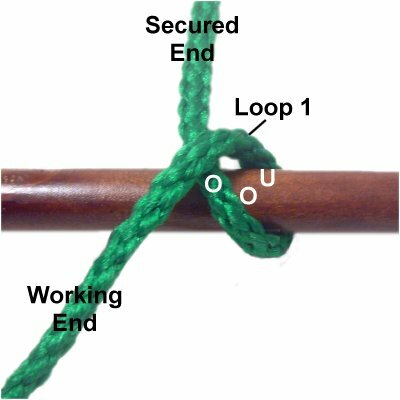 Step 2: To complete the right loop, pull the working end to the left, passing over the secured end. Bring it back to the right to form a bight, and secure it where it curves. Step 3: Move the working end up to the right loop. Pass it under the segment that rests on top of the dowel, heading right to left. Step 4: Slip the bight over the end of the dowel. Make sure the top surface of the cord remains face up, and the back surface touches the dowel. 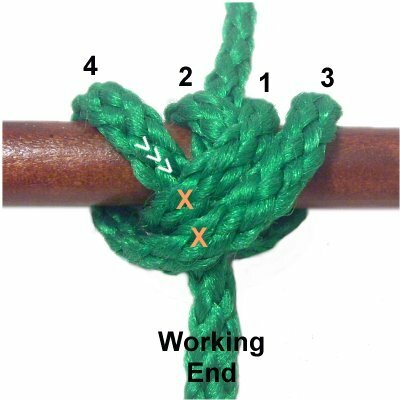 Tighten the Clove Hitch by pulling on the ends. 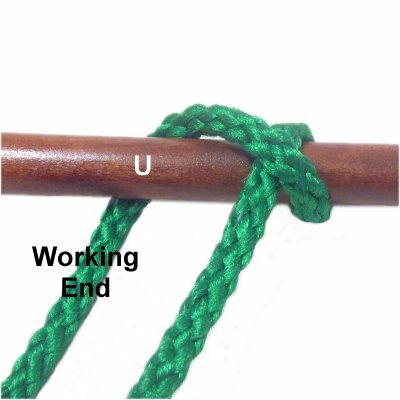 This interesting variation of the Clove Hitch is the one most often used for mounting cords. 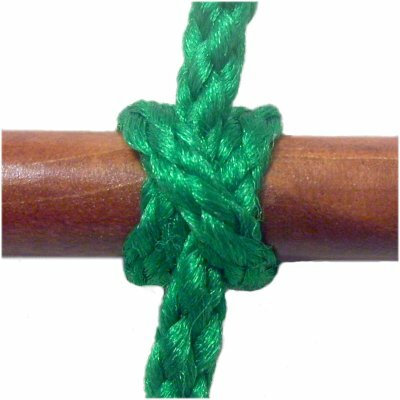 It has a moveable picot loop at the top, and the two ends exit the knot below the dowel. 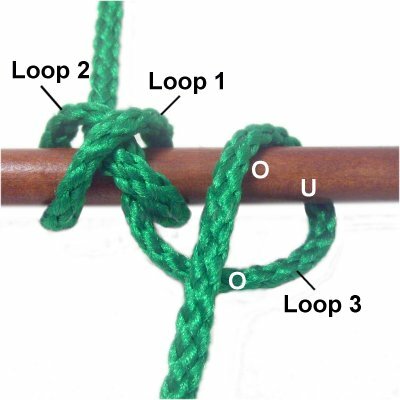 It's best to use this technique when you have other knots being tied below it, so the loop cannot be accidentally pulled out. To practice, you need one cord at least 25 inches long, as well as a dowel (or other item) to hold the knot. 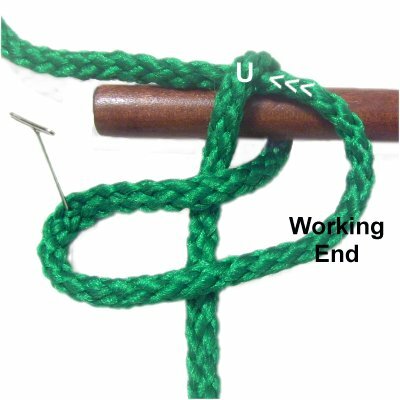 Make the left loop by passing the working end over, then under the dowel. Bring the cord to the right, crossing over the secured end. Step 2: Move the working end under the dowel, to the left of the first loop. Bring it over the secured end as you pull it to the left. Step 3: Bring the working end under the left loop, heading backward. Make sure you stay to the left of the crossing point between the two loops. Step 4: Secure the working end 1-inch above the dowel. Bring it forward, passing under the right loop. Make sure you stay to the right of the crossed area in front. Tighten the Clove Hitch. 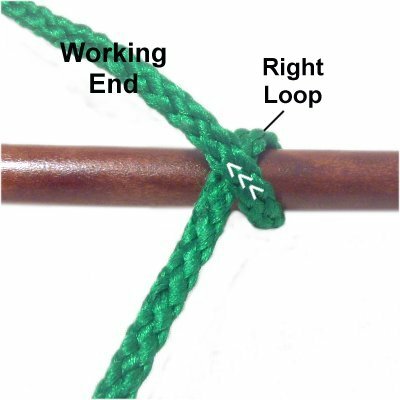 Adjust the picot loop by pulling on the working end. 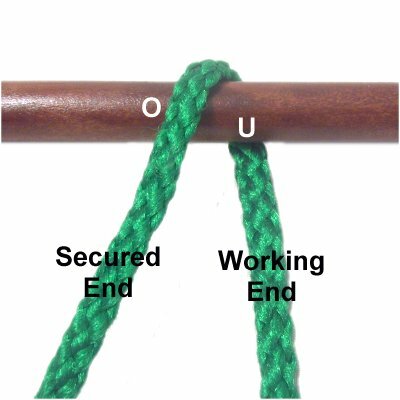 The Boa Knot could also be called a Double Clove Hitch because there are four loops instead of two. 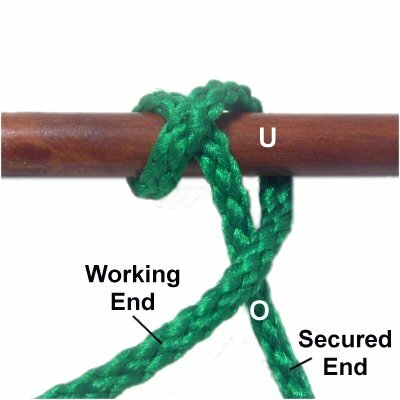 The resulting knot is very strong, and can be used in large items like plant hangers. It can be attached to rings as well as dowels and curtain rods. One of the key differences with this variation is that the cord is secured above the dowel. 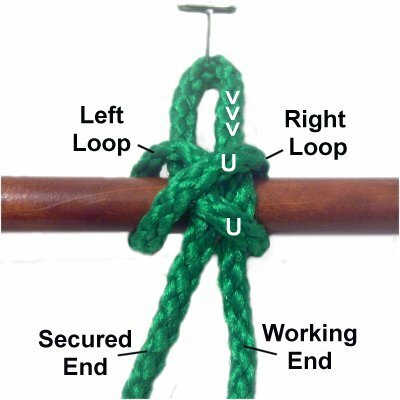 So this gives you an opportunity to see how the Clove Hitch can be altered from the basic design. To practice, you need one cord, at least 36 inches long. You also need a dowel. Step 1: Secure one end of the cord behind the dowel. Bring it over the dowel, then under it. Complete Loop 1 by crossing the working end over the secured portion, heading left. Step 2: Begin Loop 2 by passing the working under, then over the dowel. This takes place to the left of Loop 1. Step 3: Complete Loop 2 by passing the working end over the secured end, and under Loop 1. So you will be moving horizontally from left to right, near the top of the dowel. Step 4: Bring the working end down near the bottom of the dowel, and pass it under Loop 1, heading right to left. Step 5: Make Loop 3 by passing the working end under-over the dowel, to the right of Loop 1. Cross over the lower area of the loop as you pull the cord to complete the loop. Step 6: Make Loop 4 by passing the working end around the dowel (under - over). Locate the two segments that are marked with an X in this image. They are to the left of loop 1 and 3. Step 7: Make Loop 4 by passing the working end around the dowel (under - over). Pass the working end under the segments marked with an X. Have any comments about the Clove Hitch? Contact Me.